Southwire's 16/2 low-voltage cable is suitable for outdoor accent lighting, landscape lighting and security lighting applications. It is designed to withstand outdoor use and is approved for direct burial. Manufactured with two annealed, flexible, stranded copper conductors and premium-grade PVC insulation. Suitable for use at temperatures not exceeding minimum -20°C or maximum 60°C. Maximum voltage rating for all intended applications is 150 volts. Southwire's NMWU cable is used for underground installations, including direct burial, and for wet and corrosive locations such as wet basements. 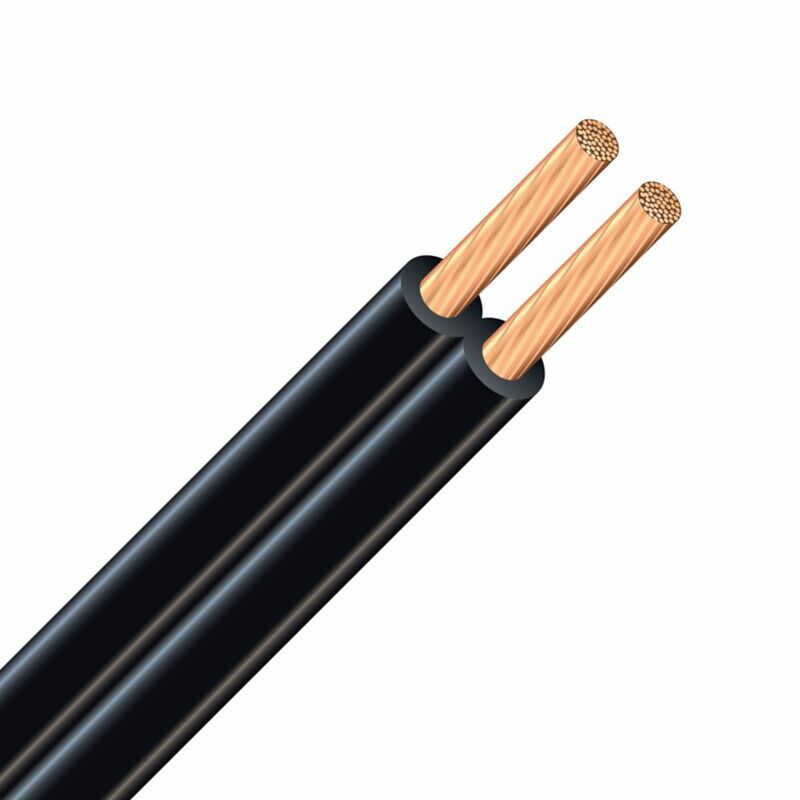 Low Voltage Copper Landscape Electrical Cable 16/2 Black 150m Southwire's 16/2 low-voltage cable is suitable for outdoor accent lighting, landscape lighting and security lighting applications. It is designed to withstand outdoor use and is approved for direct burial.